Gujarat Assembly Election 2017: The priest was campaigning for the BJP in an area in Junagadh when he was attacked. He was taken to hospital, where his condition is said to be stable. Gujarat Assembly Election 2017: Swami Bhaktiprasad was campaigning for a BJP candidate in Junagadh. A priest campaigning for the ruling BJP in Gujarat was attacked last night, two days before parts of the state vote in the first round of assembly elections on Saturday. 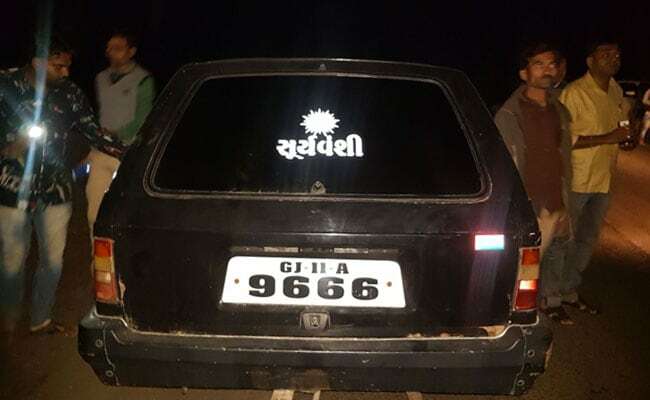 Swami Bhaktiprasad, a priest of the Swaminarayan Gurukul, was allegedly attacked by unknown men in Junagadh last evening when he was returning home after addressing a public meeting. He was reportedly campaigning for a BJP candidate, Kirit Patel, at the time. He was taken to hospital, where his condition is said to be stable. The police say the attackers have not been found. The priest says his attackers were in a black car that drove up alongside his SUV. "I was going to Vishavadar, when we moved a bit a car overtook us and stood. They started hitting on our vehicles. They broke the glasses of our car and abused me," Swami Bhaktiprasad said. The priest has alleged that workers of the opposition Congress were behind the attack. "First of all I would like to condemn this incidence on the behalf of my whole party... BJP is trying to mitigate the environment by passing the buck," Congress spokesperson Priyanka Chaturvedi said. Gujarat will vote tomorrow and on Thursday for a new 182-member assembly. The results will be declared on December 18. The Swaminarayan temple has two sects and the one led by Swami Bhaktiprasad has always supported the ruling party.